Our Belgravia frame is a hand finished in a cream colour. From the initial first look it does look cream, however when you actually study the frame you can see how much work has gone into the frame. 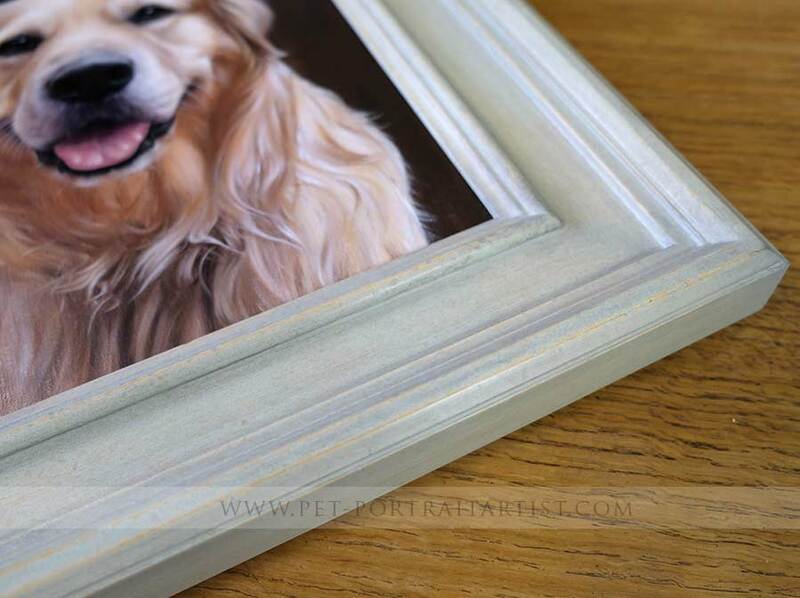 There are many layers of finishes, all creating this beautiful distressed frame. It is one of my personal favrouites in our range. It is 3 inches wide so will work with all sizes of our oil paintings. Due to its colouring it will work with some paintings better than others, depending on the overall colour pallet of your portrait. 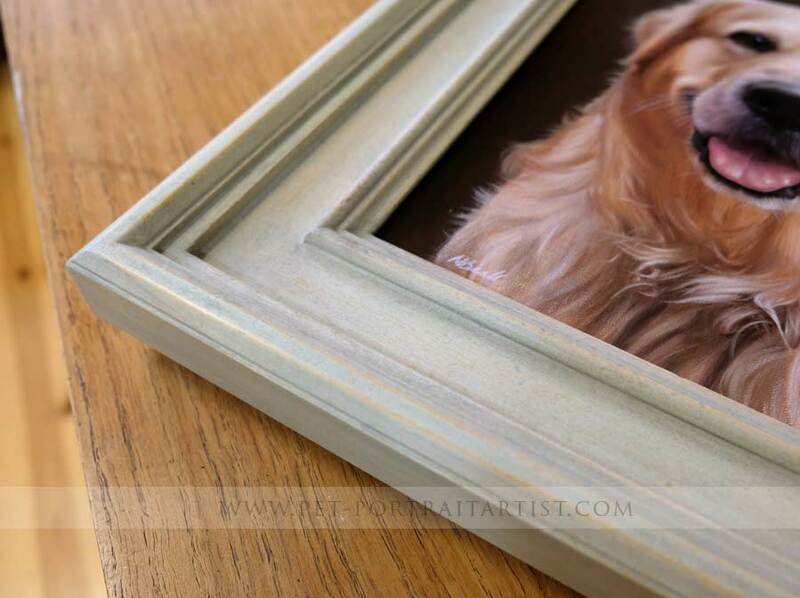 It is both a classic frame and could work well in a victorian style home with pretty painted walls, or equally could work well with modern and contemporary home decor. Its bold yet subtle and will blend in well with its surroundings what ever your home decor style. All of our frames are hand crafted and made bespoke for our cleints. 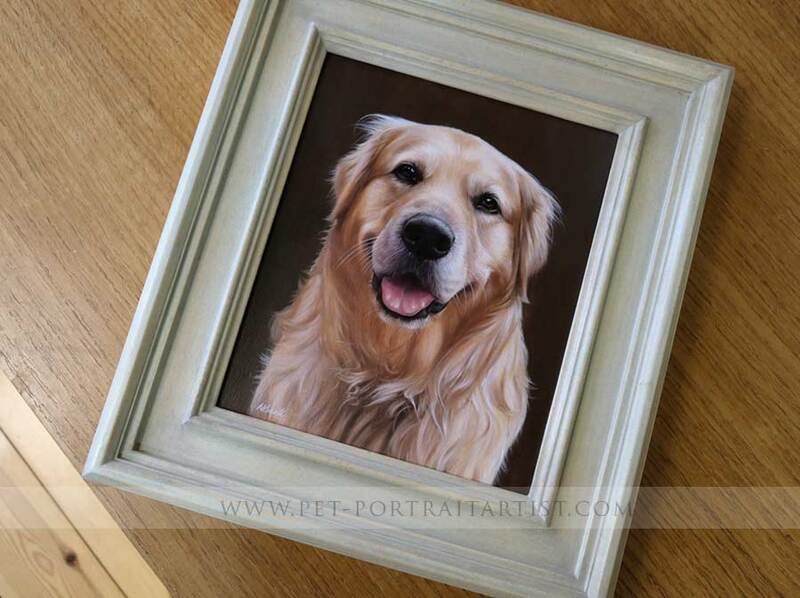 Each frame is unique and if you would like to have this from for your portrait, please let us know and we will obtain a quote for you from our framers for your size of painting. 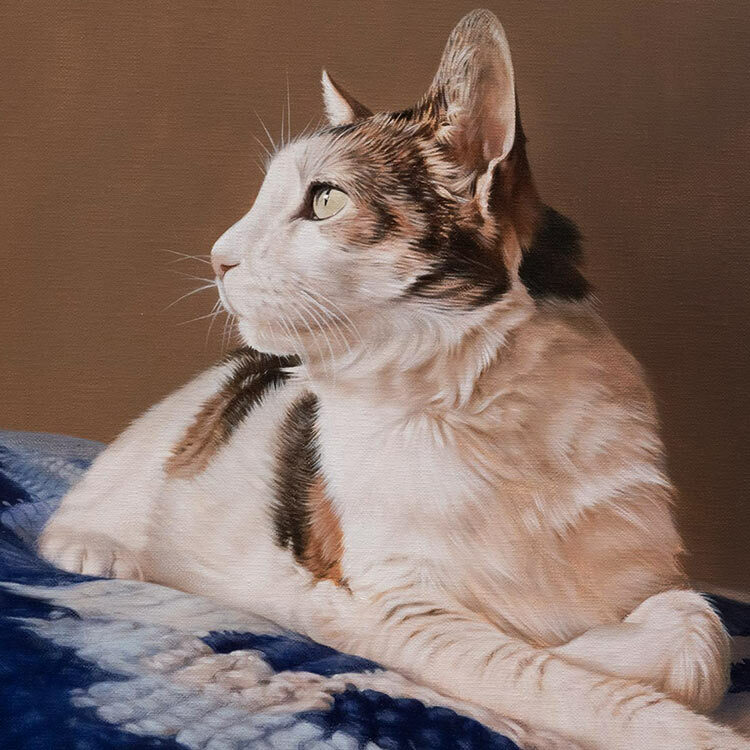 Please accept my sincere thanks for a truly fantastic portrait. 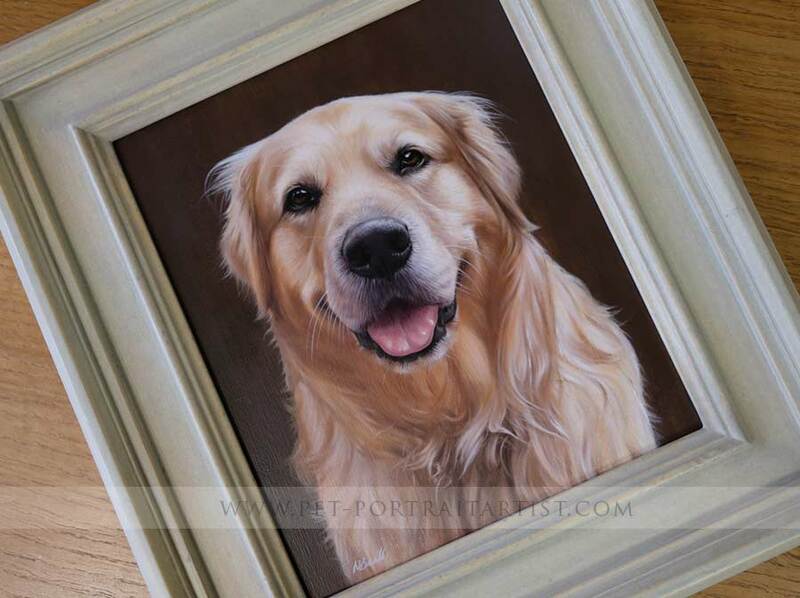 My family were astounded at how well you have captured Feebee's look and colouring a true 'work of art' in every sense. 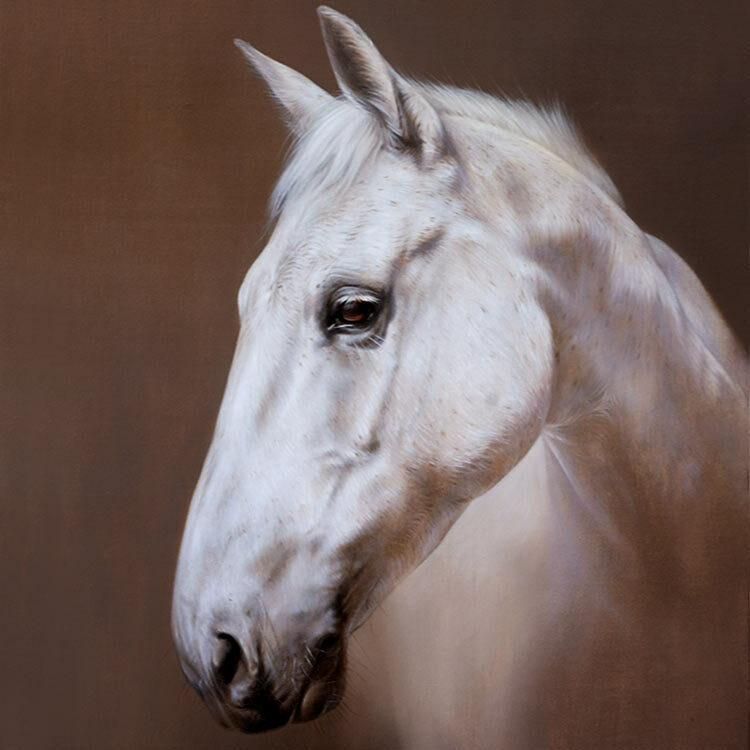 The portrait will be framed and a copy of the original photograph as well as copies of your stages of painting it and Feebee's pedigree etc included behind so that future generations will know its significance and history, as it will no doubt be a family heirloom and part of family history.